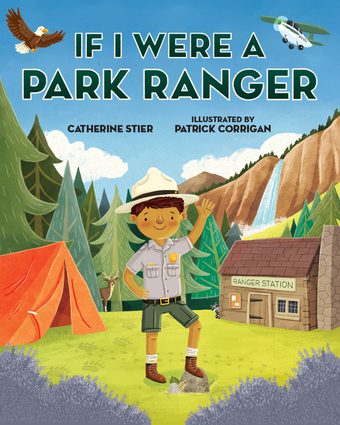 Imagine serving as a park ranger for our U.S. National Parks! Imagine serving as a park ranger for our U.S. National Parks! Being a park ranger means protecting animals, the environment, and our country's natural and historical heritage, from the wilds of Denali to the Statue of Liberty! Catherine Stier has worked as a professional writer for more than 16 years and has published hundreds of articles and stories. She is the author of If I Were President, If I Ran for President, and Today on Election Day. She lives in San Antonio, Texas with her husband and two children. Patrick Corrigan was born in the north of England and grew up drawing and designing. After University, he was an art director in a design studio for nearly ten years. He now lives in London with his wife and cat, illustrating children's books.